Dr Amol Kelshiker, Chair of the Harrow CCG, is to give a short talk to inform us about the NHS “STP” initiative, which will provide medical treatment in locations closer to a patient’s home, rather than use the resources of a large hospital for routine matters, in order to use NHS resources more efficiently and to improve the patient’s experience of care. 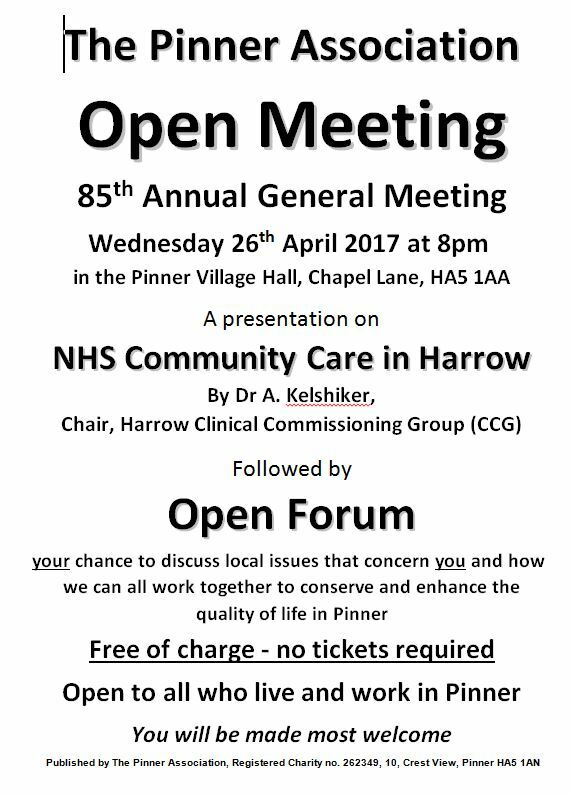 Open Forum will be your opportunity to have your voice heard and to ask questions about anything that is concerning you about life in Pinner. We look forward to welcoming you to our meeting on the 26th April – see you there!